Tempura is a Japanese style of cooking that involves battered and deep fried vegetables, protein or seafood. It is a very popular dish at Japanese restaurants in the West. In Japan, there are restaurants that specialize in tempura cuisine and are often considered fine dining. 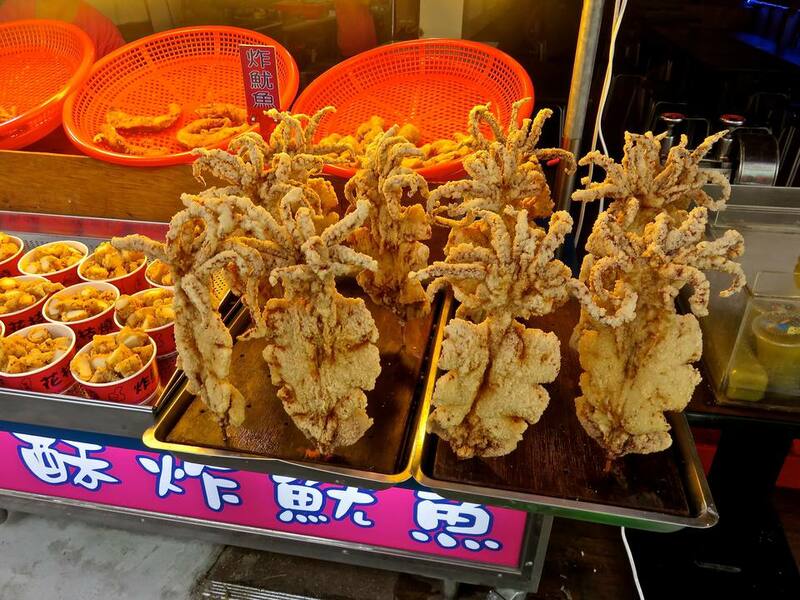 Squid, known in Japanese as “IKA” is a commonly used ingredient in tempura style cooking. Ika tempura is also referred to as, aka furry, where “furry” translates to fried. The key to tender squid is not to overcook it, which makes tempura style cooking ideal, as the squid cooks quickly when flash fried. Unique to this recipe is the addition of shichimi togarashi (Japanese 7-spice chili pepper) and Aomori (dried green seaweed flakes) with a hint of Japanese spice and flavor. As a short-cut, frozen calamari rings may be substituted for fresh squid. I recommend using only the body of the squid or calamari rings for this recipe. The tentacles tend to become tough and chewy. Additional cooking tips regarding cooking tempura are available in this video here. Slice cleaned squid body into rings.1/4-inch rings if using fresh squid, or use defrosted frozen calamari rings. In a deep medium pan, add oil and heat on medium-high until 350 to 360 degrees Fahrenheit. While the oil is heating make the tempura batter. In a medium bowl, combine flour and potato starch (cornstarch may be substituted). Add shichimi togarashi (Japanese 7-spice chili pepper) and Aomori (dried green seaweed) to the tempura batter and gently incorporate. In a large measuring cup (it is easier to work with a large 4 - cup measuring cup) crack egg, then add ice cold water so that the egg and water together, equals 1 cup. Gently incorporate the egg and water without over-mixing. Add water and egg mixture to the dry ingredients and lightly incorporate. Don’t over-mix as the batter becomes chewier and tougher (similar to what happens with over-mixed cake batter). Work quickly while the tempura batter is still cold. Rather than dipping each calamari ring into the batter one at a time, try dipping several rings at once in the batter and quickly transferring them to the hot oil. Fry them until they are light gold, about 30 to 40 seconds. These don't take long to cook and might only be in the oil for about 1 minute. Allow the ika-furai to drain on paper towels and lightly sprinkle with salt, to taste. Garnish with additional shichimi togarashi (chili pepper) and aonori (dried green seaweed).